Fortify Yourself: Like waving a red flag! 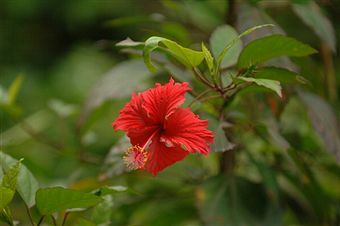 The red hibiscus flowers that are experiencing a mid-winter bloom thanks to the appearance of the warm winter sun. They are in a planter box at our front door and it makes me so happy to walk past their happy flowers! 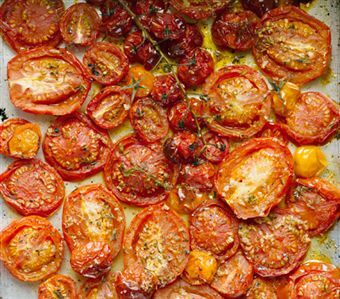 Oozing, roasted red tomatoes that are going into our soup for dinner tonight. The red beads on my bracelets bought in India 10 years ago... not so much the pale, pasty arm though! Red shoes ANYTIME. 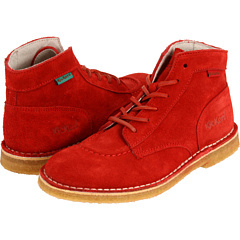 I bought my red desert boots a couple of years ago in London, but these are the same ones! Bold red lips. I'm over the pale lips thing but a quick search of the Internet shows celebrities are still way behind me. They'll have to leave behind flesh coloured lipstick sooner or later! 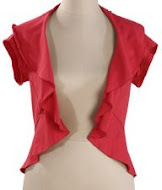 and my favourite red cardigan bought from Gap yonks ago!